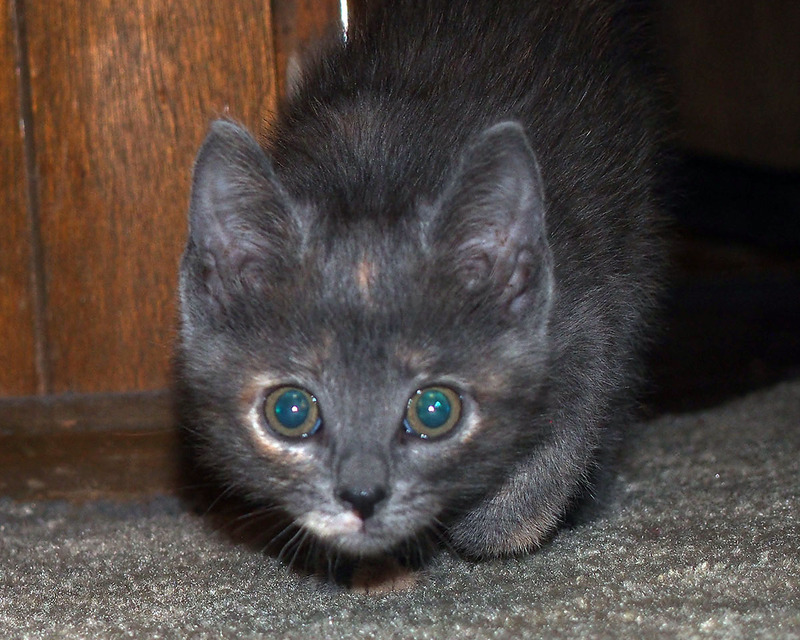 Meet the tortie. 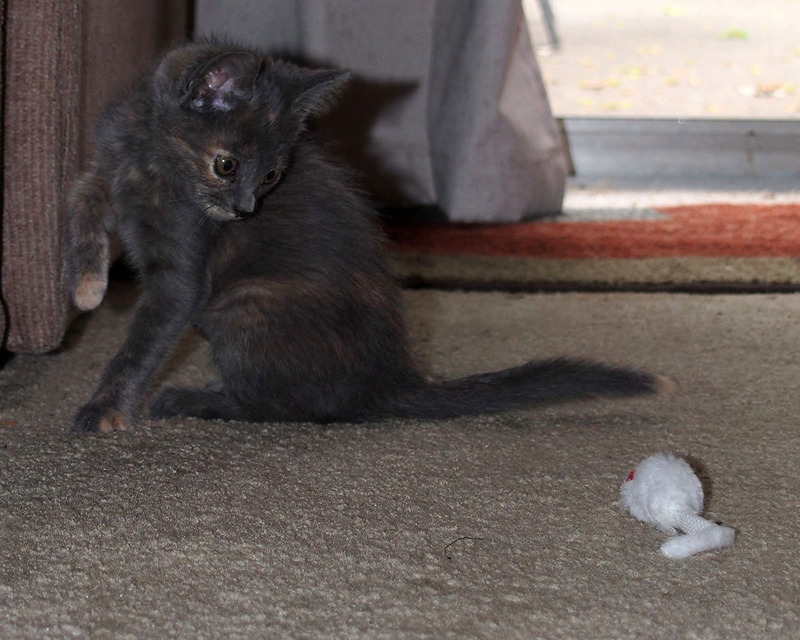 She's a muted tortoiseshell, meaning her colors aren't quite as distinct as some torties. As usual, we're still trying to think of a name, but I'm sure one will become apparent soon. However, she joined us on March 24, 2019. Midnight left us for the land of endless treats on February 4, 2019. There will doubless be other cats in our lives. 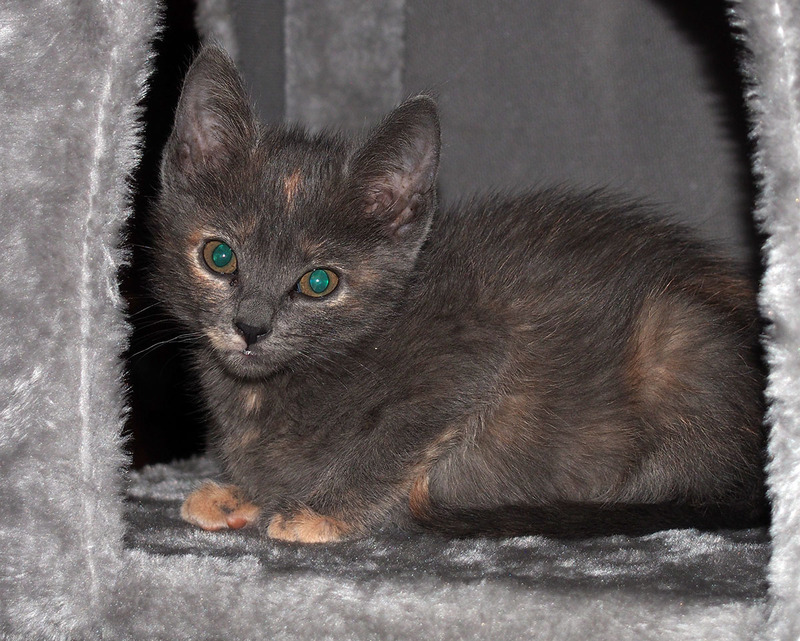 You can read about her and our other cats on the Past Cats page. 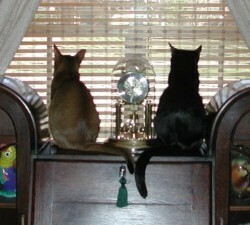 Two cats enjoy a little springtime bird watching. Of course, these aren't the only felines to have graced the halls of the Manor. 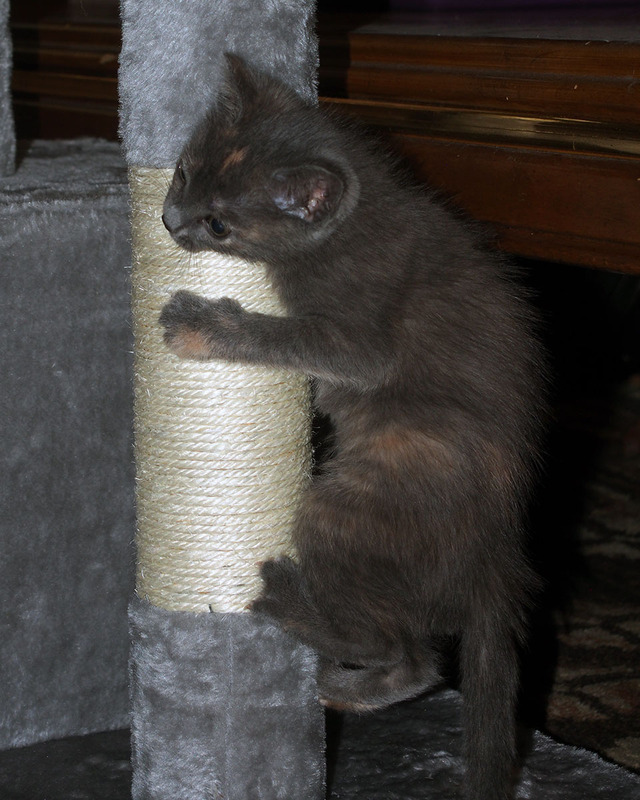 Our Past Cats page pays tribute to our departed companions.